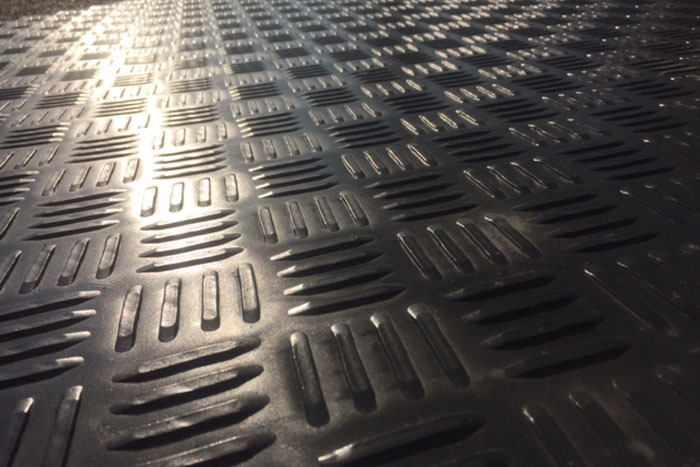 Here at The Ramp People you’ll find a wide range of ground protection mats to suit almost any commercial and industrial application. All our heavy duty ground matting has been manufactured to provide high quality turf and ground protection for oil and gas, transmission and distribution, construction, renewable energy, outdoor natural grass, outdoor synthetic field, and indoor synthetic field stadium and event applications. Wet, muddy or uneven ground conditions can cause projects to be delayed or even halted. With ground protection mats from The Ramp People, you can significantly reduce risk whilst also providing a safer working environment for your workforce. 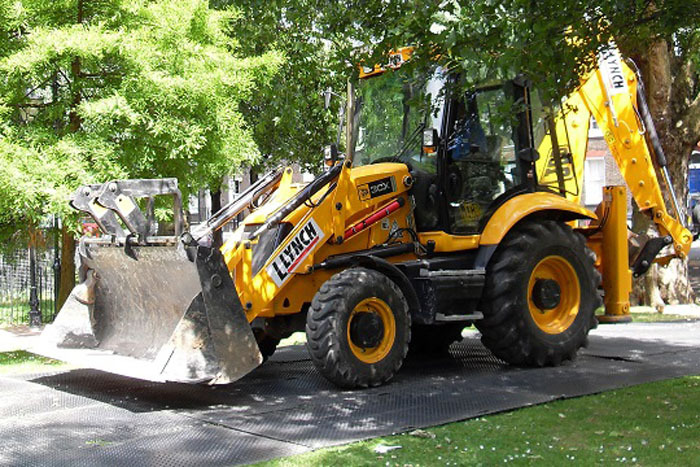 Creating temporary access roads for heavy equipment & machinery, trackway panels and ground protection mats help prevent severe rutting or damage to ground and landscaping. Ground protection matting can be used for stadiums, events, landscaping and site access; wherever saving the cost of remedial ground restoration is a factor. Easy to use and quick to deploy, TuffTrak® ground protection matting lock into place to form a continuous, solid, safe and durable roadway or working platform. Manufactured from high molecular weight polyethylene, our range of TuffTrak® ground protection matting wont chip, crack or rot. They are also non-conductive, puncture resistant, weather-proof, water resistant and, resistant to corrosion from acids, alkalis and solvents, which makes them the best choice for industrial and commercial applications. The TuffTrak® range is also suitable for load capacities up to and exceeding 200 tons, making them the no.1 choice for site use. Shop our full range of market leading heavy duty ground protection mats today and deliver a safer working environment for your workforce.